As the second most populous city in Australia, Melbourne was originally established in 1835 and grew dramatically during the goldrush of the 1850s, transforming itself into one of the world’s largest and wealthiest cities at the time. To this day Melbourne constantly ranks as one of the most liveable cities in the world, ranking highly in education, entertainment, healthcare, research and development, tourism and sport, taking the number one spot every year from 2010 - 2015. 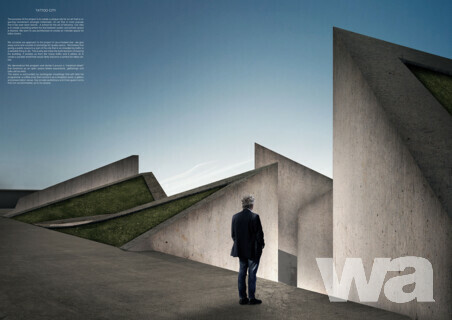 Melbourne also acts as the unofficial “cultural capital” of Australia. It is the birthplace Australian impressionism, the Australian film and television industries, and Australian contemporary dance, and is recognised as a UNESCO City of Literature and a major centre for street art, music and theatre. Tattoo have been a part of human culture for centuries, dating back as far as the ancient Greeks and Romans. The art of tattooing was traditionally used to mark warriors and sailors throughout human history, creating an association between tattoos and a certain type of character. And while tattoos have become increasingly popular in recent years, there is still something of a stigma surrounding the art. 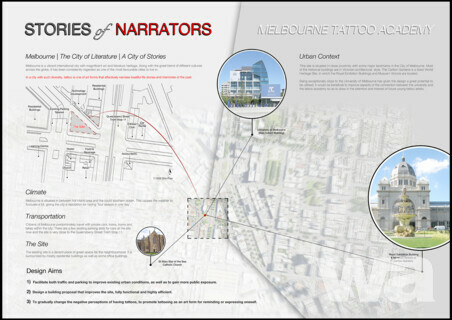 The Melbourne Tattoo Academy architecture competition is tasking participants with creating designs for a building in one of the most popular locations of this multicultural city, where the art of tattooing can be practiced and the stigma broken. 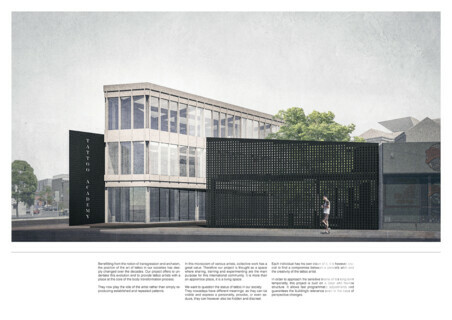 The main purpose of the building should be to function as a school for the art of tattooing, offering space for workshops, accommodation in the form of a hostel, and a public gallery/meeting area as well as a conceptual café. 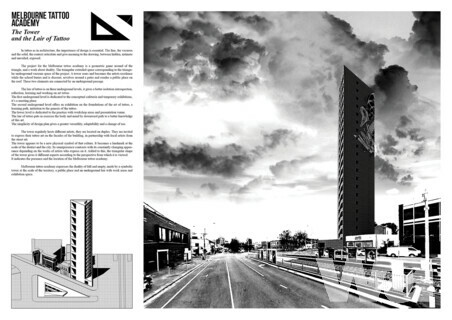 The academy should have the potential to become a recognisable landmark for the locals, as well as a popular tourist attraction for international visitors. Designs should be bold and creative, and in keeping with the vibe and atmosphere of one of the world’s most diverse and open-minded cities.